“I’m just starting out in the business, and didn’t want to sink thousands of dollars in a phone system for my office. It turned out that I didn’t need to. My Universal Office does things for me that one of those big boxes could never do anyway. Susie is a real estate agent who uses the Universal Office to help her list and sell more houses, and to streamline her personal communications. She knows that the Universal Office more than pays for itself for several years, when it helps her sell just one more house. "I love being able to receive calls from my clients wherever I am. I give my clients just one telephone number and I get all my calls no matter if I am at the office, at home or on my cell phone. My Genie always answers my calls professionally and finds me and lets me know who is calling before I take the call,” says Susie. The Universal Office gives Susie great marketing and follow-up power! Susie also uses the AudioGram to let her clients know about new listings that may interest them. 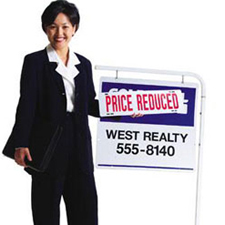 Susie has multiple PhoneBooks filled with various list of telephone and fax numbers of clients and investors who are interested in certain types of real estate. The moment she gets a new listing she sends them a message via AudioGram or FaxOGram describing the new listing. One afternoon after acquiring a new listing, Susie sent an AudioGram to her list of sixty-five potential investors with this message: “Hello this is Susie. I just listed the deal of the year: five bedrooms, five bathrooms on a level acre on the beach - asking price seven fifty. If you’re interested press 1 and Genie will connect your call to me, or press 2 to let me know when to call you back." On the way back from that meeting Susie got two messages and one call from an interested investor. “It was great to have Genie find me while I was doing 65 mph on the highway! I described my new listing to my investor and after a short conversation, scheduled a viewing of the home. The Universal Office is incredible!" says Susie. "Also, the GenieCard that I got with my Universal Office is a dream. I have two handymen, Harry and Arch, who do a lot of work for me on houses when we're getting them ready to sell. I helped each of them sign up for a Universal Office and GenieCard of their own. Now, when they need paint or door-jams or caulking for one of my projects, I just send the money to their ATM cards. Once a couple weeks back, they needed cash for a window and I was out of town. No problem - I just called my Universal Office and transferred the money. It didn't matter that I was more than 800 miles away. “My clients tell me they love dealing with my firm and appreciate that I use such cutting edge technology to stay in touch with them." says Susie.